June 4th, 2010. New York City. 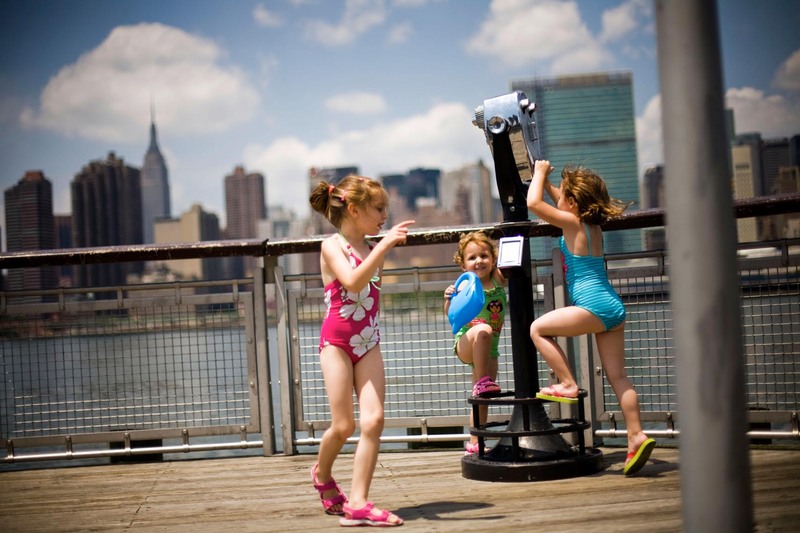 (In pink suit) Emma Tyka, 5, (in green suit) Victoria Grazda, 3, (in bule suit) Patrycja Grazda, 5, with their mom Agnieszka Grazda, 31, of Greenpoint taking in the cool brezze on the east river waterfront in Long Island City. Piotr Redlinski for The New York Times.